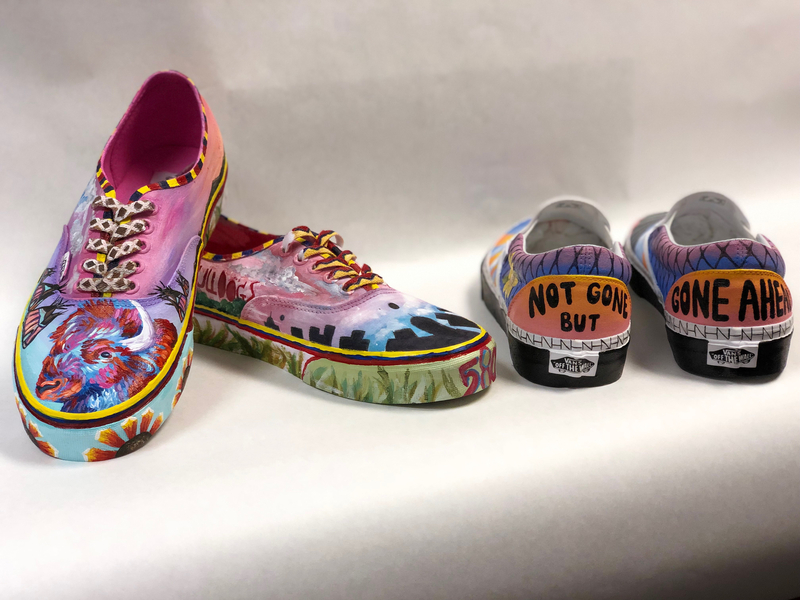 to participate in by the Vans Custom Culture—Today we submitted our submissions for “Local Flavor” and “Off the Wall.” Local flavor represented Cache, OK and Off the Wall was a tribute to Natalie Hults. 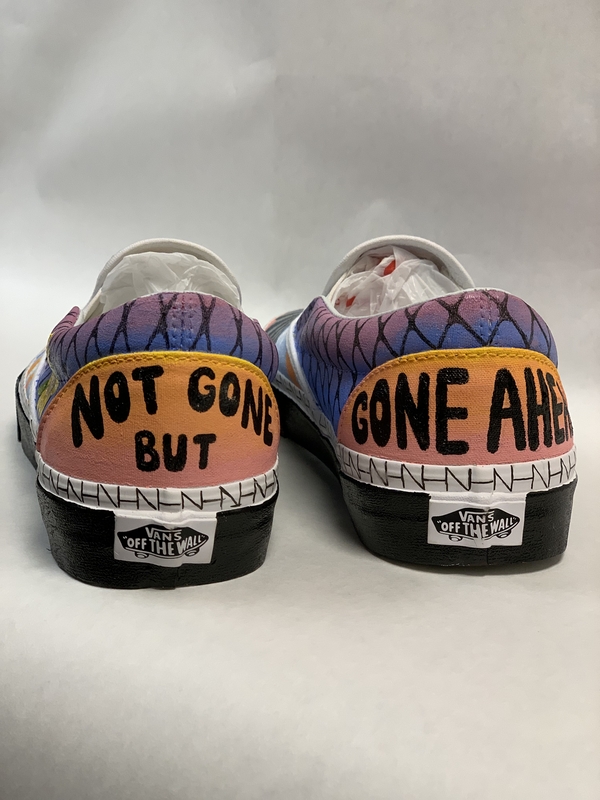 They will announce winners April 20th. 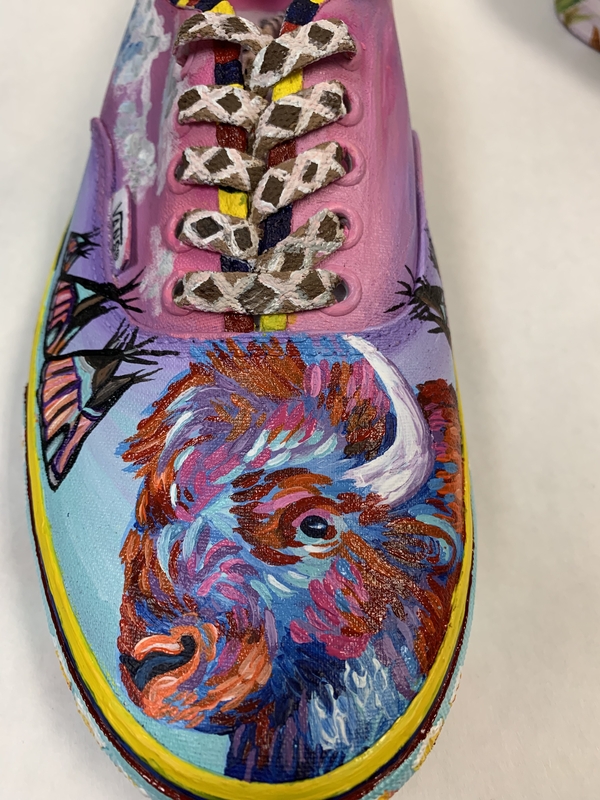 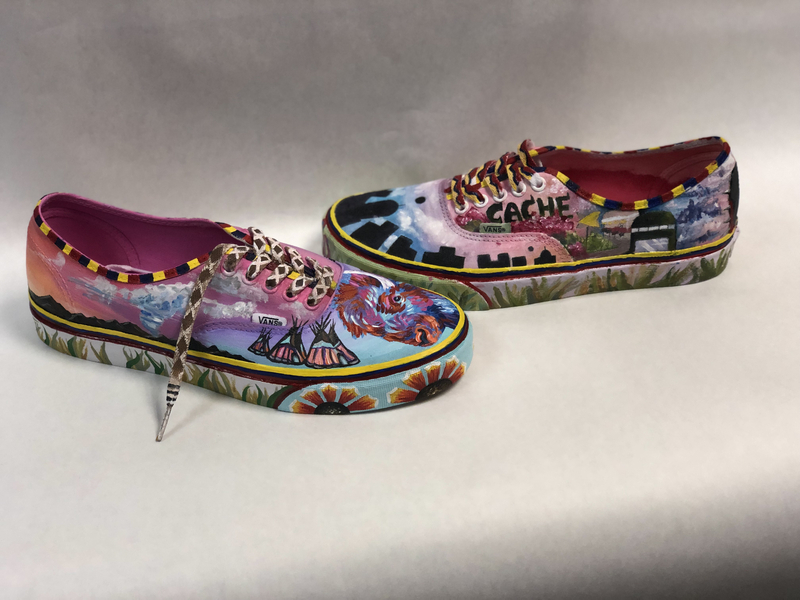 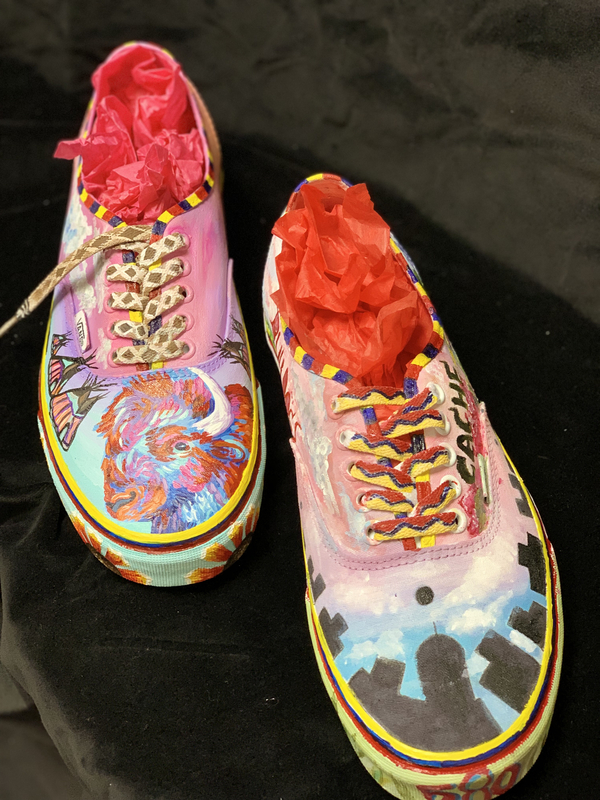 A huge shout out to Makena Callarman, Rhyinn Welborn, Caleb Livingston, Hayden Cable, & Madeline Cordray for their artistic and meticulous detail of capturing the heart of Cache in 2 pairs of VANS. 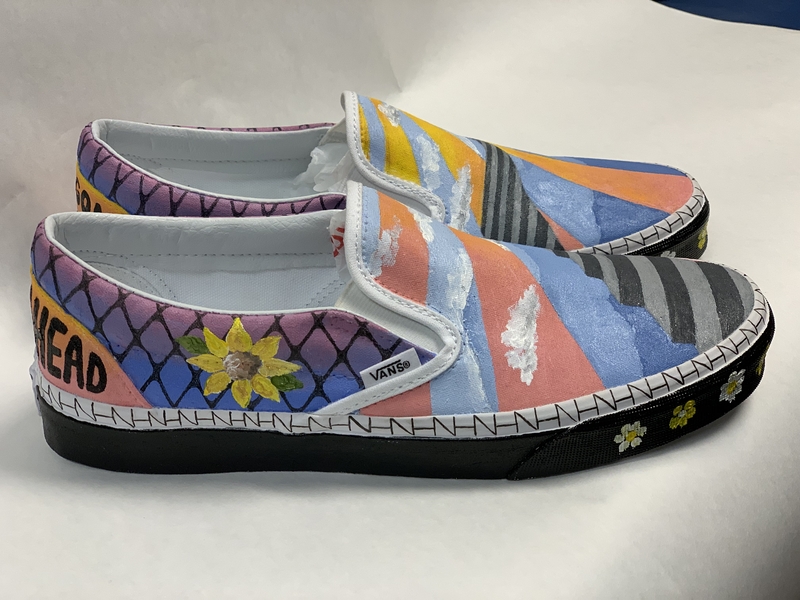 Thank you to Mrs. Shanna Mellot and Mr. Brian Kowena for facilitating this project! 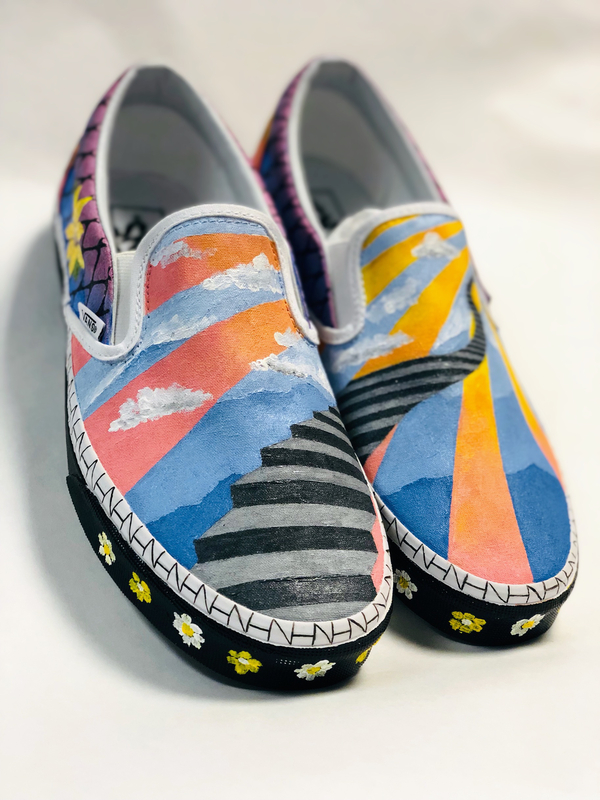 The top 50 designs will go to online voting, and the top 5 designs will receive a prize. 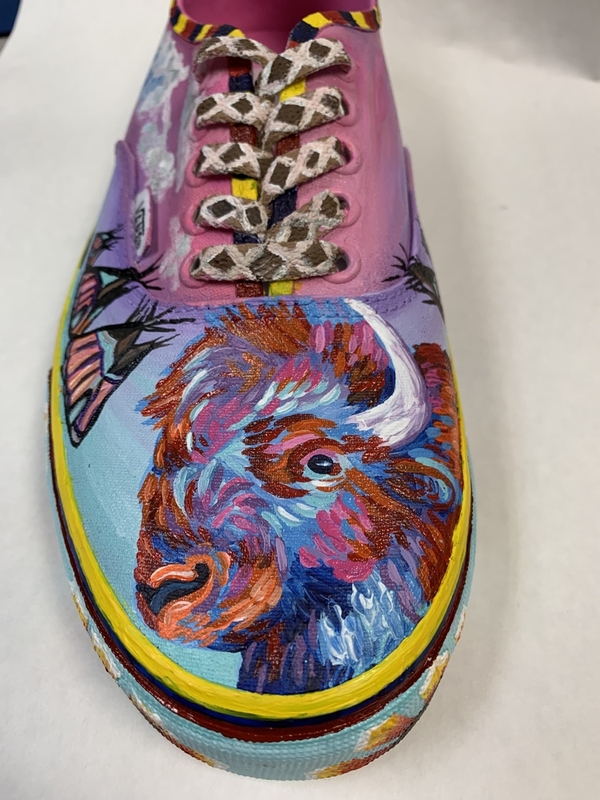 The school with the most votes receives $75,000 for the art department.